Do you want to create your dream job? What challenges do you have to overcome to be your own boss? When it comes time to create your dream job you may find yourself facing unforeseen obstacles. From a lack of confidence, stressing about finances and overthinking everything, to having to learn new skills, create business plans and maybe even finding an amazing business idea. Being an entrepreneur is challenging, but rewarding! The dream is possible if you know how to navigate the obstacles. The hills of life’s challenges can quickly become mountains in the eyes of dreamers. Aspiring to change from dreamer to do-er is a lot easier if you know what you are up against. In my business, I work with clients who not only want to aspire to achieve their dreams but tend to lack a concept of time, planning, and implementing. ADHD Entrepreneurial businesswomen will do that. In an effort to help them, and anyone else ready to change from dreamer to do-er, here are a few of the major challenges faced by entrepreneurs. #1: The mental marathon of a dream to fruition isn’t one you can train for. You will do the research, and the planning, and the consulting but at the end of the day it will still demand more from you. There is no real way to prepare mentally. Surrounding yourself with uplifting people will be one way to stay afloat. You either have grit or you don’t. Perseverance towards a goal is the only thing that sets the do-ers apart from the dreamers. You will have to hush every self-doubting and dream limiting voice in your head. It is crucial to not allow others to water the negative mindset seeds. Your sister’s boyfriend, who’s never owned his own business, he won’t understand and he will doubt you. Shut him out. Use your small triumphs to fuel your momentum to keep going. When you make a new connection, celebrate. I’m not talking about a simple “Phew! Glad that’s done” pat on the back. I’m talking about marking it as a milestone on the road to success. Celebrating the small wins will keep you motivated and moving towards the big wins. They are all important. #2: You’ll work overtime, without pay to create your dream job. One of the perks of working a 9-5, is that if you work outside of those hours, you’re likely to be rewarded for it with overtime pay. When it is time to strive for your goals and make your dreams come to life, you’ll clock in more hours than you imagined. For a while, you will also have little to show for it. The type of dream or goal doesn’t matter. Aspire to own a coffee shop? Start studying barista knowledge and learn how to purchase it wholesale, as well as work your current job. Want to become a CEO? Be prepared to go all in, and burn the candle at both ends! I’m not saying don’t put in the work. In fact, put in ALL the work. Because the fruits of your labors will eventually blossom, it just won’t be right away. #3: Life doesn’t stop moving because you decide now’s the time to create your dream job. You may strike gold within the first three months of setting up shop. Or Santa might skip your house the year you decide it’s time to create your dream job. Don’t be surprised if life decides to lay it on thick and even kick you while you are down. Take it as the universe’s way of checking your commitment level. You’ll ask yourself, more than once; Is your mission really important?! Is it really worth the hassle? The answer will always be yes. Reminding yourself often will be the key in overcoming the life challenge setbacks. #4: You’ll fail. More than once. Can you imagine how the world would look if every person whose ever failed, simply gave up and quit trying? Pretty sad, I imagine. Look at failing as part of the fun. Sometimes, when you fail the results lead you to accomplish a breakthrough. Failure has the capability to shine new light on a dull surface. If you are blessed enough to fail a few times, it’s because you are built for growth. #5: As you grow & create your dream job, it will evolve. Grow with it. You’ll begin to create your dream job with one idea, but if you allow yourself to stay open-minded that one idea can blossom into a million more. It can even change direction, look, smell and sound different from its roots. Remember it’s a foundation and its mission, and sometimes let it take the lead. Consider the fact that Amazon Founder, Jeff Bezos, started out with a bookselling business but as he kept his mind open, his business blossomed into what his customers needed. An everything store. As of this article, he is now the richest man in modern history so I’d estimate his ability to grow, evolve and listen to his customer’s needs was the critical concept that kept him on the road to success. #6: Consistency will be what helps you win. Not a breakthrough or an epiphany; Consistency. With any goal, it is the matter of doing small steps consistently that will help you get over the large hump. You don’t climb a mountain in one full leap, it takes steps, sometimes even setbacks. Adjustment. But constantly you continue to climb until you reach the top. When you prepare to create your dream job, remember that all the little steps add up to the big one. I talk about this briefly in my 7 Reasons We Fail To Achieve Our Goals post. When I say you plan, but fail to act I am talking about the consistency of acting and doing your part over a long period of time. You can throw your dreams out to the universe, tell it you want them. Beg and plead for them to come true, but if you don’t act. And act with continuity, taking small baby steps to climb that mountain, you won’t get there. Ever. #7: Who you know, will matter more than what you know. I’m so proud you worked hard to achieve your BBA or your MBA. That knowledge will certainly take you places, but when it comes to your dreams it’s only your second most useful tool. Your network, and willing to network will by far take you further than your brain will ever imagine possible. Your network will be who you fall on when you need to secure your first client or customer. The network of friends and family you have might even be your first investors on your path to creating your dream job. They may introduce you to your future business partner, or your future life partner. Both of whom can take you to the next level in your aspirations. Take it from Entrepreneur magazine, to be successful at being your own boss you need to build your network. When you create your dream job you’ll find it is much easier with lots of support. Don’t hold back on meeting new people, hearing their thoughts on your ideas, and using their feedback. #8: Imposter syndrome is a real thing, and the imposter inside you wants to steal your dream job. Think of imposter syndrome like the same feeling of impending death you get on a roller coaster. The chances of actual death on a rollercoaster are one in 300,000,000. The chance you’ll die from sending an e-mail or making a pitch? I imagine much less. With any sort of risk of rejection, imposter syndrome will pop up. Take the ride anyways. #9: There is no direct path to success. Just as you’ve grown and your life challenges have molded you, so will major challenges you face as you create your dream job. Thinking you need an office on main street, U.S.A. to be officially in business? Think again. Buy what you need, when you need it. Don’t make the mistake of buying into looking, acting, or being a certain way because that’s “what successful people do”. Become successful, then find out what successful people do. You might be surprised that not many of them do the exact same things. #10: You will be a trailblazer, even if you don’t want to. Be sure to act like one. This one comes as a major warning. Whether you decide to create your dream job for financial freedom or to be a Hollywood superstar, one thing will be certain. You will increase your influence exponentially. The saying goes “with great power comes great responsibility”. With business success comes great power and more eyes watching you than before. You may no longer be Jayson’s Mom on the PTO, you’ll be Jayson’s Mom who also runs the toy store on the corner. People will look up to you, even if you don’t feel they should or could. Be aware, because the customer (everyone is a potential customer) is always right. If your business or your dream steps on anyone’s toes, they will scream and you will have to deal with the aftermath of reactions from others. #11: Don’t give up, because someone needs you. I know, this doesn’t sound much like a challenge but it can be. 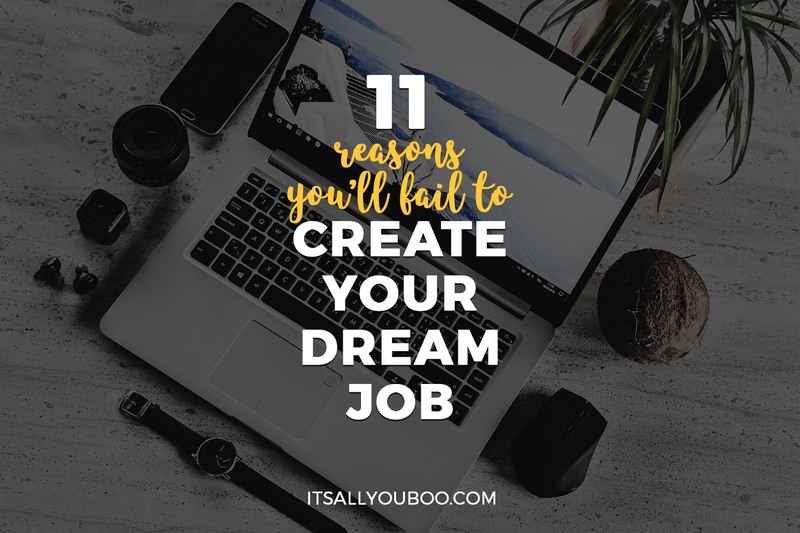 When I decided to start a blog and coaching business it was because I wanted to write and help women create their dream job. What happened was I also needed to learn e-commerce, online marketing, networking, how to write copy, and a myriad of other business related things. 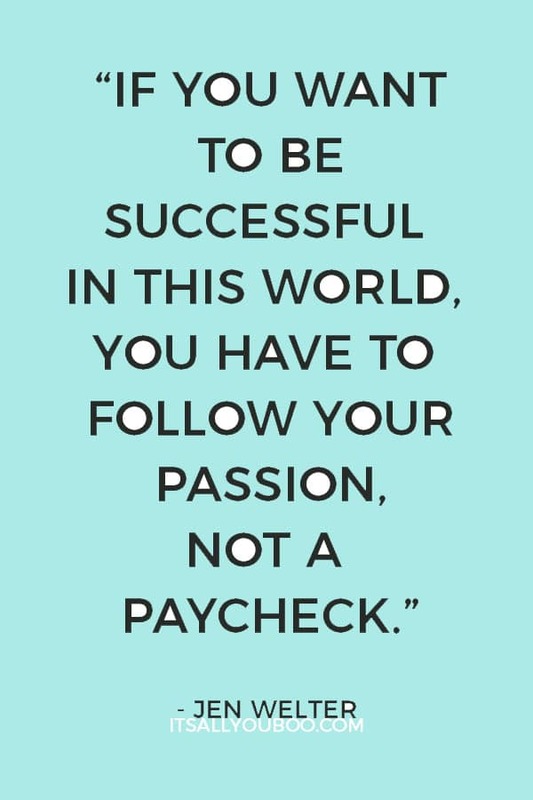 I could have let it derail my mission because “it’s so hard!” But I reminded myself that by creating my dream job, I will change lives. It doesn’t matter if you simply want to open a corner hardware store, or be a writer online. Someone needs what only you can offer. Remember that when you feel like giving up that someone needs you. You’ll be pleasantly surprised to find I am right in this. Because just think, you needed me to write this, didn’t you? Ready to create your dream job and overcome the challenges of being an entrepreneur? Get the Printable Strategic Planning Workbook, and create a step-by-step plan to help you successfully create your dream job. 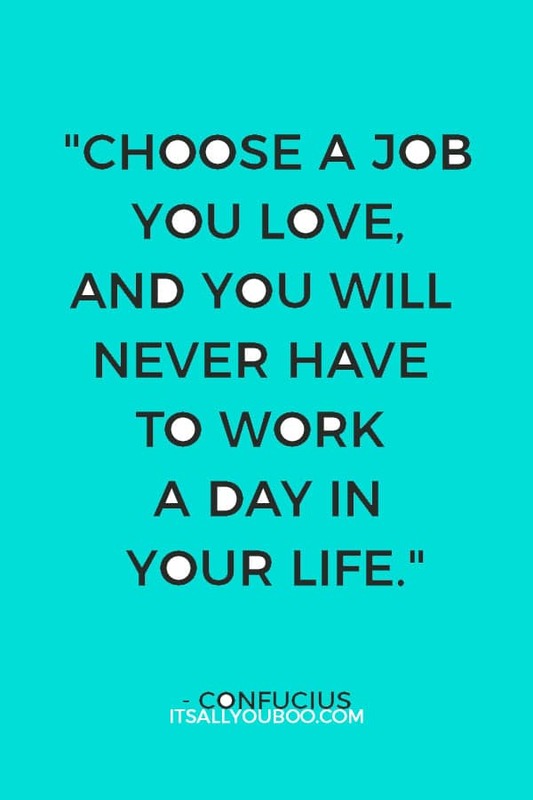 How will you create your dream job? Lacy Estelle is a coach, writer, and speaker. 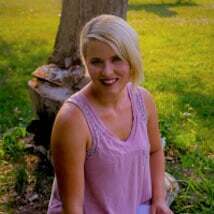 She blogs on Lacyestelle.com to single moms with ADHD and dreams. Her favorite color is yellow, the color of happiness and she loves to encourage others. It’s her absolute favorite thing to do. This is all so true! Following and reaching your dreams is no easy task, that’s why people chase them and sometimes don’t reach them. You are right that you’ll fail over and over and consistency is key. And NEVER give up! Love how real this post is. Thank you! I’m so glad you enjoyed it!! Thanks for reading it and best of luck in your dreams!! I actually have my dream job as a hairstylist. And I think that consistency is key in my profession too. Indeed it is! Anything you do with passion requires that you also do with consistency! I bet since doing hair is your dream, your clients can tell how much you enjoy it! Way to go! I love the honesty of this post. It’s so true. People are afraid of the mental marathon and they are intimated by the work involved to get there. All the hard work is worth it ! It really is. I will say though, if you can craft fully match your purpose with your passion doing the hard work can often seem fun. And I think that comes from having tunnel vision on the ultimate goal, but that can be challenging if you have a lot of stress in your life. Such a great post, with great tips! It’s hard to put yourself out there constantly, but you just got to keep turning up! #3 and # 9 chile gather me up. There is no clear path to success and something always comes in the way such is life you gotta know what’s important and know what’s not. For real girl!! I agree so much. Can’t let the unexpected take you completely off course. 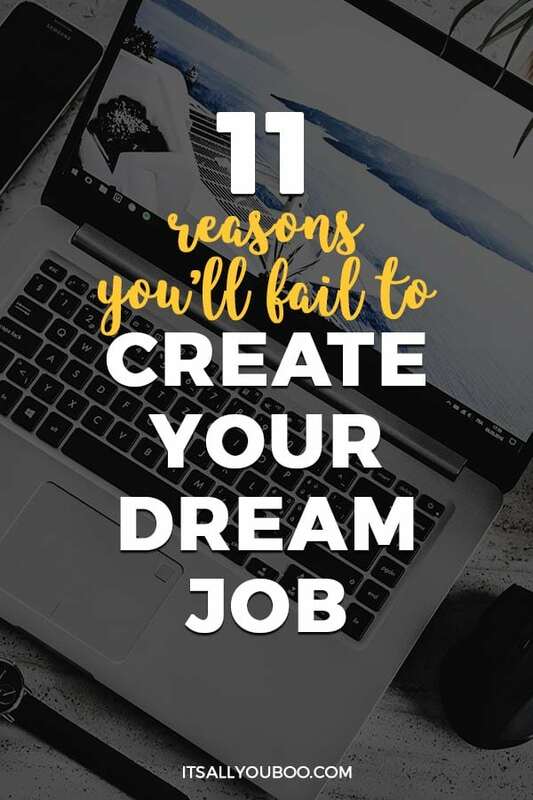 I co-sign on all of these reasons needed to (or not to) create your dream job. I will also add to dress for the job you WANT not the job you HAVE . It build a positive vibe around you ! Absolutely Leslie!! I upgraded my wardrobe when I wanted people to take me seriously. It really is so rewarding once you overcome the obstacles! I agree completely! I remember crying when I first started my website, thinking “How will I ever understand this? !” And now, its like I’ve learned a foreign language. Currently I’m experiencing that there is no direct path to success (#9). Many people think that success is linear, but it’s a swirl, a jagged edge, a scribble lol! This is why I am teaching myself to be content with the bad days too! It can even be a loop de loop. The times when you want to love forward but have to go back a step and redo something. 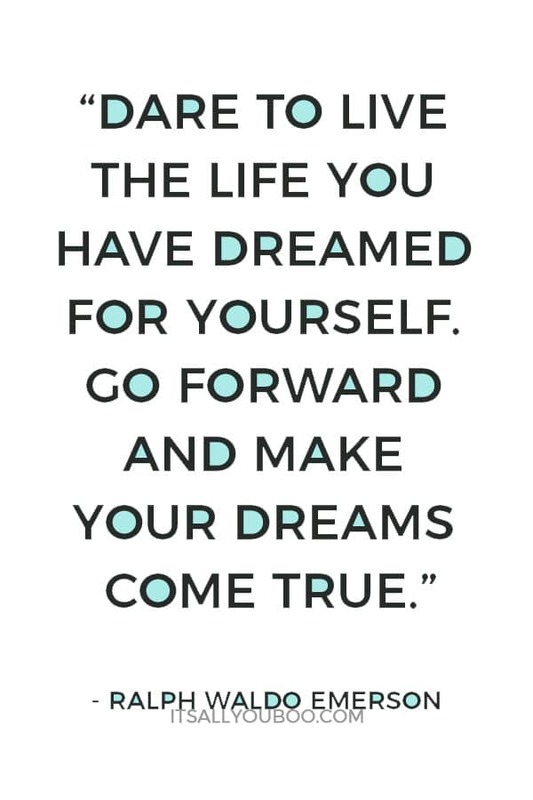 😉 keep going! You got this!! This I so true. I have learned that consistency is one of the most important things in life. I love all the other points raised here, but consistency resonates with me particularly because it’s something I struggle with. I’ve found consistency to be a hard one for everyone. I think it’s important to also note that it’s sometimes also about picking up where you leave off. Even if you lose consistency for a short time. Execution and follow thru is my problem. I’m a dreamer, I have amazing ideas but not the bandwidth to make this happen. I’ve resorted to getting an accountability partner, a daily planner I must write in and asking for help when I need it. That is a great plan! You should also check out the 12 week year. I used to struggle to bring my thoughts into tangible ideas until that book! Best of luck!! I read this and you know what…this has been and is still me. Life gets in the way and it’s all in how you handle it. Am I giving up? Nope. I’ll keep pushing until I get to my goal. Thank you for this post. To answer your question…Yes, I needed you to write this! This was right on time. And the imposter syndrome is so real. Thank you for this!! I’m so glad it was meant for you girl!! You’re quotes always leave me wanting more and encourage readers like me to seize the day. Each one is perfect! I appreciate you saying so Elle! I hope you do carpe diem! These are all some great points. Consistency is so important, and it’s what I struggle with in regards to my blog. I think so many struggle with consistency. You are definitely not alone Kasi! # 6 shouldn’t be so profound for me, but it is. I constantly have to remind myself there is nothing new I need to be doing. I just have to be consistent at the things I have been doing. Thanks so much the reminder, yet again! Tell me about the overtime without pay to create my dream job. This is exactly what I did years ago when I first started blogging, countless hours of free promotion without getting paid a dime and I am still a blogger today but full-time! It’s so true! So many don’t realize the dedication and effort it takes up front to get to a point of finally being able to go down to a 40 hour work week. Good for you for putting in the hours!